"Platforms such as PlayStation, Xbox and NESiCAxLive have valued the originality of the games we create, distributing them globally." 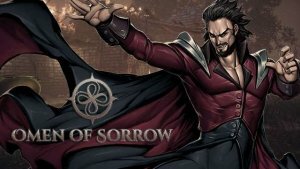 The official site of PlayStation announced that “Omen of Sorrow” was chosen the second most expected fight game of the year by the specialized magazine PC World. The game created by the Chilean company, AOne Games, will go on sale on November 6 for PlayStation 4 and has assured the distribution of 50 thousand physical cups. It will reach the Asian market in April of next year (China, Japan and Korea). Technical Challenge” at EVA 2017; “Second Best Demo” of 2017 in the Shoryuken Fighting Game Awards; and “Unreal Dev Grant” awarded by Epic Games in the same year. The fans were captivated with the mythological theme that challenges the player to fight intense fights with legendary creatures and the possibility of choosing between 12 characters of the literature of terror. Felipe Budinich, Marketing Director of the development company, emphasizes that “the quality of AOne Games products positions Chile as an avant-garde, vibrant and privileged engineering and entertainment center when it comes to exporting value-added services”. "Our videogames, especially our product 'Causa, Voices of the Dusk', were prominently displayed at major international events such as PAX East, PAX West, BIC Festival and Tokyo Game Show 2018, considered the most important global showcases of the entertainment industry." "Cartoon Network and Nickelodeon have relied on the professionalism of our company Octeto Studios, where we also develop exclusive products for customers in the United States, Europe and Asia."